I’m sure many of you are wondering: “Why make soap when I can buy it cheaply at the supermarket?” My cold processed soap is made with vegetable oils and when it is made and cured, it contains no harsh chemicals or dyes. 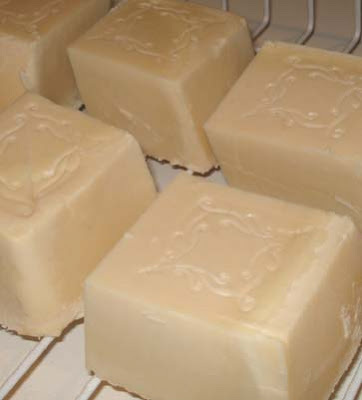 Often commercial soap is made with tallow (animal fat) and contains synthetic fragrance and dye and retains almost no glycerin. Glycerin is a natural emollient that helps with the lather and moisturises the skin. The makers of commercial soaps extract the glycerin and sell it as a separate product as it’s more valuable than the soap. Then they add chemicals to make the soap lather. Crazy. 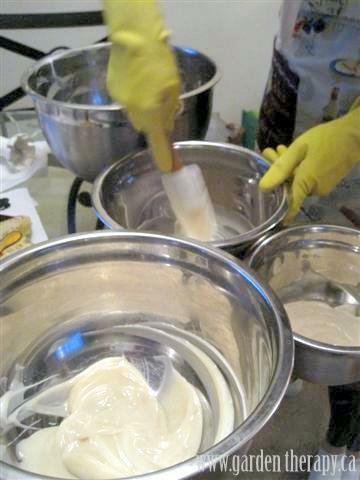 Making your own soap allows you to add whatever you want to add. If you want a plain and pure soap, as I do, you can have that, or you can start with the plain soap and add colour, herbs and fragrance. The choice is yours. I want to add a little about animal and bird fat. I know Kirsty makes her soap with duck fat and I think that’s great. I think that if you’re living true to your simple living values, and you’re a meat eater, then you should be using every part of that animal or bird. Soap making helps you to do that. 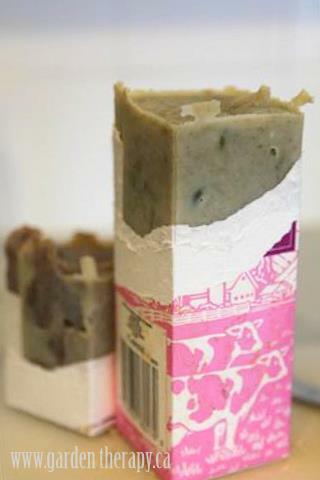 So if you raise beef, pigs or ducks, I’m pretty sure there are a lot of good soap recipes for you to use your animal fats. I will, however, be concentrating my post on what I make – vegetable-based soap. 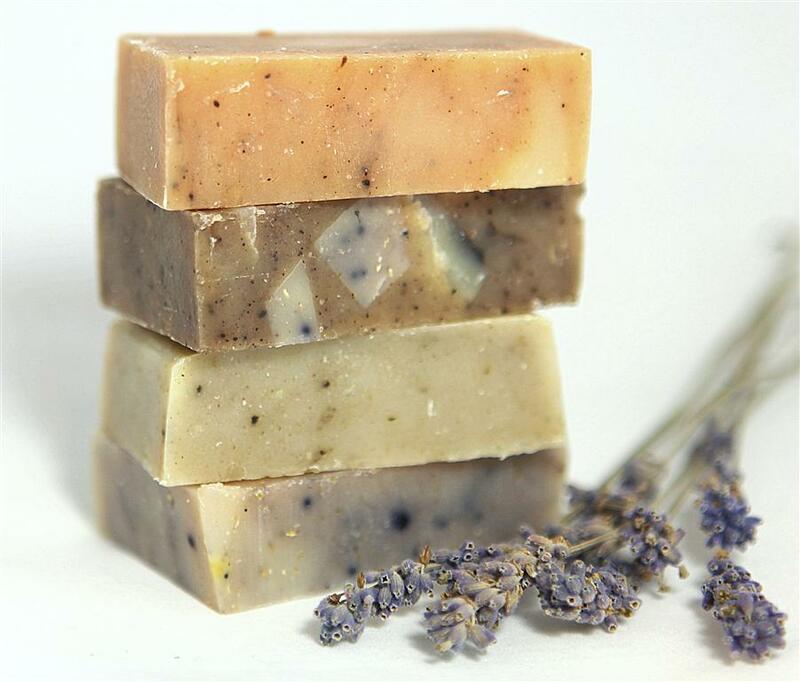 Nourishing all-natural soap makes a wonderful gift for yourself and others. 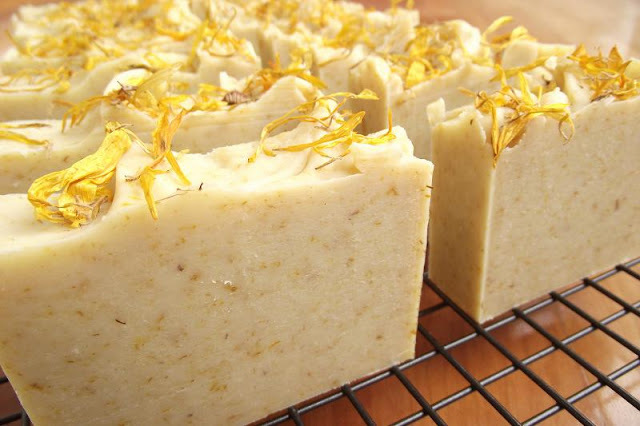 Check out these recipes for Lemongrass Ginger Coffee Kitchen Soap, Rosemary Spearmint Energizing Shower Soap, and Orange Vanilla Cinnamon Soap. With natural vegetable ingredients, pure essential oils, natural colours, and herbs from the garden, you can feel good about taking care of those who use your handmade soap.